Real Estate to Crash in 2018? Home » Real Estate to be Torpedoed in 2018? Real Estate to be Torpedoed in 2018? Real estate is the number one form of wealth for most people. However, as the last housing bubble and ensuing recession have shown, real estate is not always a safe investment. In 2006, housing prices peaked before falling to new lows in 2011 in the aftermath of the recession. But since then, home prices have skyrocketed to new highs thanks to federally sponsored low-interest mortgages. In fact, home prices have risen so much, so fast that Americans have all but forgotten the Great Recession and foreclosure crisis of 2008/2009. Today, things are different. Today, home prices are only going up. At least, that seems to be the prevailing thought. But what if things were happening under the surface that had the potential to torpedo home prices just like a decade ago? A quick survey of interest rates reveals a hidden danger lurking in the real estate market. Today, it looks like history could be repeating itself. The two-year and three-year Treasuries jumped on Friday to 2.06% and 2.20%, respectively. However, it was the rise in the ten-year yield to 2.66% that is most important to homeowners and people invested in real estate. 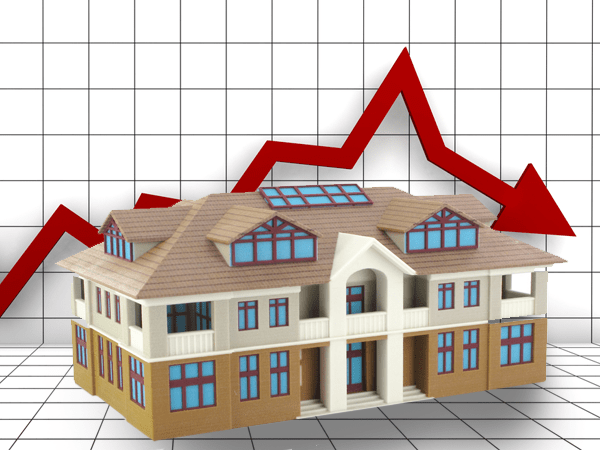 This rate is the benchmark for the financial markets, and it has the greatest impact on mortgage rates. As the chart below shows, this is its highest level since April 2014 and more than double the historic low of 1.32% that it fell to on July 7, 2016. On Friday, the average 30-year fixed-rate mortgage with conforming loan balances ($417,000 or less) for top-tier borrowers, according to Mortgage News Daily, ended at 4.23%, the highest in nine months. Depending on household budgets, this can have a big effect on people’s ability to meet their mortgage payments. A jump from 3.5% to 4.5%, for example, could mean an extra $144 a month in payment for a $250,000 mortgage. This “payment differential” obviously increases the bigger the mortgage, and can result in several hundreds of dollars extra in payments each month. Whereas falling mortgage rates tend to increase the value of homes, an increasing rate would do the exact opposite. As interest rates creep up, they force home prices down. And to add to real estate market woes, real mortgage rates are likely to grow beyond 4.5% as the Fed continues to hike its rates and long-term yields catch up with the trajectory of shorter-term yields. Another Foreclosure Crisis on the Way? You don’t have to be a rocket scientist to see that the writing is on the wall for the real estate market. As Wolf Street puts it, higher mortgage interest rates will likely push home prices down, causing current homeowners to lose equity and possibly go upside down on their mortgages. Under these conditions, potential buyers would probably wait longer to buy once they see prices start to drop. This will only accelerate price deterioration as home sellers slash prices to get out as quickly as they can. This could eventually result in a foreclosure crisis even more devastating than the last one, which was one of the primary effects of the 2008/2009 recession. With the real estate market looking vulnerable to a big drop, is there any other asset you can buy that has strong potential to appreciate over the next few years? 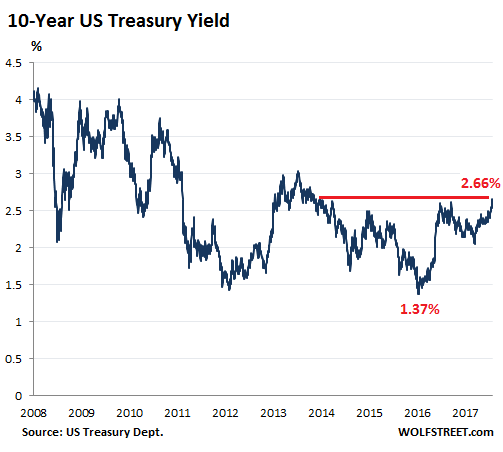 With stocks and bonds also at the mercy of rising yields, one of the few assets with strong potential to rise in value over the next few years is gold. It is relatively immune from Treasury yields and will likely grow in value as the dollar continues to fall.